Facebook may launch its own smart-home gadget to get you messaging more friends and looking at more photos. DigiTimes reports from Taiwan that Facebook is building a 15-inch touch-screen smart speaker. Citing sources from the “upstream supply chain,” Chinese iPhone manufacturer Pegatron is building the device for a Q1 2018 launch, with a small pilot run having already been produced. It’s said to have been designed by Facebook’s secretive new hardware lab Building 8, using an LG in-cell touch screen with a magnesium-aluminum-alloy chassis. The Facebook speaker might work as a digital photo frame when inactive, piping in new photos or videos to brighten up the home. Through voice commands, users could potentially Like or leave comments on this content. It would also be sensible for Facebook to allow messaging from the speaker, via voice-dictated text messages, VoIP audio calls or video calling. As of February, 400 million of Facebook Messenger’s 1.2 billion users communicate via Facebook audio and video calling every month. A touch-screen smart speaker could become a high-tech home phone alternative that’s easy for younger kids and grandparents to use. Amazon is already trying to barge into the home communications market with its new Amazon Echo Show version of its smart speaker, which lets people video call each other over its screen. Google has its own Google Home speaker and Apple is preparing to launch the HomePod. But none of them have a ubiquitous cross-device instant messaging platform with a comprehensive social graph the way Facebook does. Amazon’s Echo Show can call any Echo, Echo Show, or Alexa-enabled Amazon app, but the company has never been a player in the communication space. Apple FaceTime doesn’t work on Android. Google Home doesn’t have a screen, and its messaging apps are a fragmented mess. But Facebook could connect video callers between any phone and a home speaker, plus it already knows who all your friends are. Facebook could potentially earn money directly from selling a smart speaker. There could be a way to pipe ads into the screen, though it might feel obtrusive to have a changing billboard in your home. The social network already has TV apps that run on Android, Apple and Roku’s TV hardware. Late last year Facebook admitted it planned to sell ads that would appear on its TV apps. A touch-screen smart speaker could be another place those ads run. But if such a device got people browsing and messaging on Facebook more, it could lock them deeper into its ecosystem, where they’ll inevitably see Facebook’s ads on its smartphone. 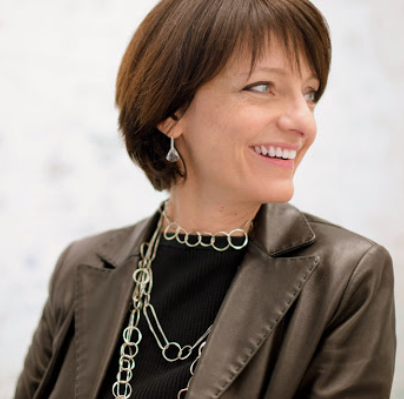 Facebook’s Building 8 had been quiet since launching in 2016 under the helm of former Google ATAP leader Regina Dugan. At this year’s Facebook F8 conference, Building 8 revealed it was working on a technology to let people type just by thinking, and another to help the visually impaired “hear” through their skin. Most recently, Business Insider reported that Facebook secured a patent for a modular hardware device that could be a phone, though that technology could let people snap extra components onto a smart speaker. The one major missing piece for Facebook to succeed with a smart speaker is voice recognition technology. In September 2016, Facebook’s head of Messenger David Marcus told me onstage at TechCrunch Disrupt that Facebook wasn’t focused on voice technology, but it may have been secretly hard at work on voice tech or grown its interest since then. Facebook acquired voice command developer platform Wit.ai in 2015. Marcus is already saying “Messenger is your virtual living room.” Perhaps that was less of a lofty metaphor and more of a literal roadmap. If Facebook can build a gadget that releases its beloved News Feed and Messenger from the confines of your phone, and makes them accessible with a glance or word at any time, it may have found how to make us spend even more time on its social network.